The U.S. economy is crawling along – but at least it is moving in the right direction. The first estimate of second quarter GDP came in at 1.7%, which was slightly lower than the 2% estimate. The Commerce Department also revised the first quarter down from 1.7% to 1.1% and the fourth quarter of last year was lowered to 0.1%, barely above stall. In early August, the U.S. Bureau of Labor Statistics announced July hires, which were at a slightly lower (162,000) than the expected 170,000. They also lowered the hiring numbers from the last two months by 25,000. One troubling aspect of the jobs picture is that there continues to be a large percentage of part time workers added instead of full time hires. It’s too early to tell if this jobs data reflects economic uncertainty in employers’ outlook or a result of the 30 hour work week requirement for the new health care law, which was just recently extended until next year. In spite of these numbers, new car sales and new home sales moved higher. New home sales rose in June even as mortgage rates increased. The first half of 2013 consisted of sub-par growth with low inflation. However, economists still believe that the economy will pick up in the second half. The rest of the world’s economies are doing very little to help our growth. China’s economy is slowing as the government tries to reign in the explosion in bank lending and reduce the economy’s dependence on infrastructure and home building. The Chinese government is trying to encourage greater consumption in order to expand their economy. Beijing is willing to accept slower growth in the short run in order to transition their economy to more of a consumer driven economy. This reduction of infrastructure expenditures in China has impacted the economies that are dependent on commodities such as Brazil and Australia. However, economists feel that there is a limit to how much the Chinese economy will slow down before accelerating. They have huge foreign currency reserves and can always begin infrastructure building again. Also as the rural population continues to move from the countryside to the cities, the “empty city” syndrome will eventually fill up. The European economy is still a mixed bag. Some indicators seem to say that they may have turned the corner from recession to a small amount of growth while others seem to indicate that growth is still a ways away. With Germany leading the way, a survey of manufacturing has reached an 18-month high. Also business and household confidence grew and the recession in Spain seems to be easing. These positive factors seem to suggest that a sporadic recovery could be beginning. The world has witnessed two dramatic increases in the middle class. The first was the industrial revolution in the 1800’s. The second was the years following the Second World War as nations rebuilt. The first two were mostly the United States and Europe. In previous Market Comments I have stated a very large increase in the middle class in developing markets is underway. Many economists believe this could be a larger increase than either of the first two. The populations involved in this movement are very large and the majority is employed in farming. China has lead the way over the last ten or so years, but the rest of Asia, Latin America and Africa are beginning to grow as well. What does this mean for The United States? We are well positioned to provide many of the items that will be needed for their growth. The U.S. Energy Information Administration expects energy consumption to increase steadily for the next 30 years. As this demand drives prices higher, our ability to produce domestic energy will become an even larger advantage for U.S. companies. 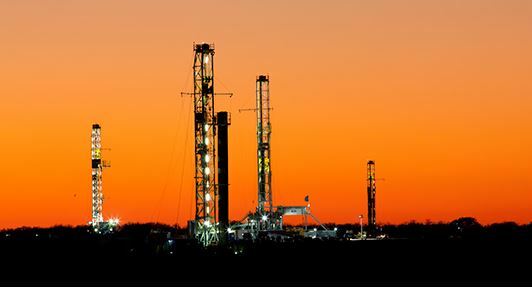 The proliferation of energy production from tight shale plays is providing the opportunity for U. S. companies to benefit from a lower energy cost as well as lower raw material cost. The U.S. is now producing more oil than it imports. Expansion of chemical plants to take advantage of lower natural gas and natural gas liquids is continuing at a rapid pace. Industrial companies have also grown rapidly over the last year. With their advantage in the cost of energy, this growth should continue. With the recent market correction, we have been adding to several of our positions. Honeywell (HON), United Technology (UTX), Emerson Electric (EMR) and Rockwell Automation (ROC) have all shown good year over year earnings growth as well as increased in share price. Yields on Master Limited Partnerships (MLPs) have increased since the market selloff, with prices down but their distributions being maintained. In the E&P sector, we continue to like EOG Resources (EOG), Continental Resources (CLR), Oasis Petroleum (OAS) and Whiting Petroleum (WLL). Several of these have had large year over year increases in production. As I have mentioned before, with added shipping capacity, West Texas Intermediate (WTI) prices have narrowed the gap to Brent and these companies are showing large gains in earnings. In the chemical sector, we continue to hold LyondellBasell (LYB), Huntsman Corporation (HUN) and Westlake Chemicals (WLK). Their profit margins have shown a greater increase due to cheaper natural gas prices than some of the bigger chemical companies. LyondellBasell produced large gains in earnings in their first quarter earnings release. The low natural gas prices and very low cost of natural gas liquids are mostly responsible for this. We also feel that heavy equipment manufacturers like Caterpillar (CAT) and Deere & Company (DE) will be potentially good investments over the next few years. Both of these companies are currently experiencing an earnings slow down due to a decrease of capital investing by mining companies and lower investment in agricultural equipment due to the slower world growth. We recognize these companies are cyclical and feel that they will have a good chance of growing share price over the next few years as world growth returns and their growth re-accelerates. We are not increasing our positions in the heavy equipment manufacturers as of now. We do feel as the world economy improves, these two companies will be good investment holdings. We also still like industrial commodity companies but we are not buying any of them currently. As the world economy begins to expand again, material producers like Cliffs Natural Resources (CLF), Freeport McMoran Copper & Gold (FCX) and the larger coal companies will once again move up in the investment placement arena. However, consider waiting until you see copper, iron ore and coal prices increase before doing any buying of these stocks. Just to restate, I believe the economy is expanding in spite of the previously mentioned problems. That is why we are emphasizing investments in companies with good cash flow, good cash distributions and companies that operate in areas where they have a competitive advantage due to much lower energy costs and raw material input costs. We prefer companies that generate good after tax returns. With interest rates at historic lows, even as dividend taxes go up, the after tax returns are still higher than most investment grade debt. There is a growing shift from very low yield bonds into equity. BSG&L is a long term investor. We believe if you are patient, build cash and buy good companies on pull backs, your portfolio will have good growth over the long term. 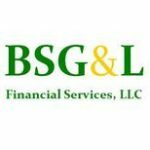 BSG&L is a Texas-based registered investment adviser. Our founding principals, Ben Dickey and Kevin Londergan, have more than 30 years experience in both accounting and financial services. At BSG&L, we believe that greater and consistent returns can only be achieved by identifying long-term tendencies in the investment markets and understanding fundamental shifts in expected investment returns.